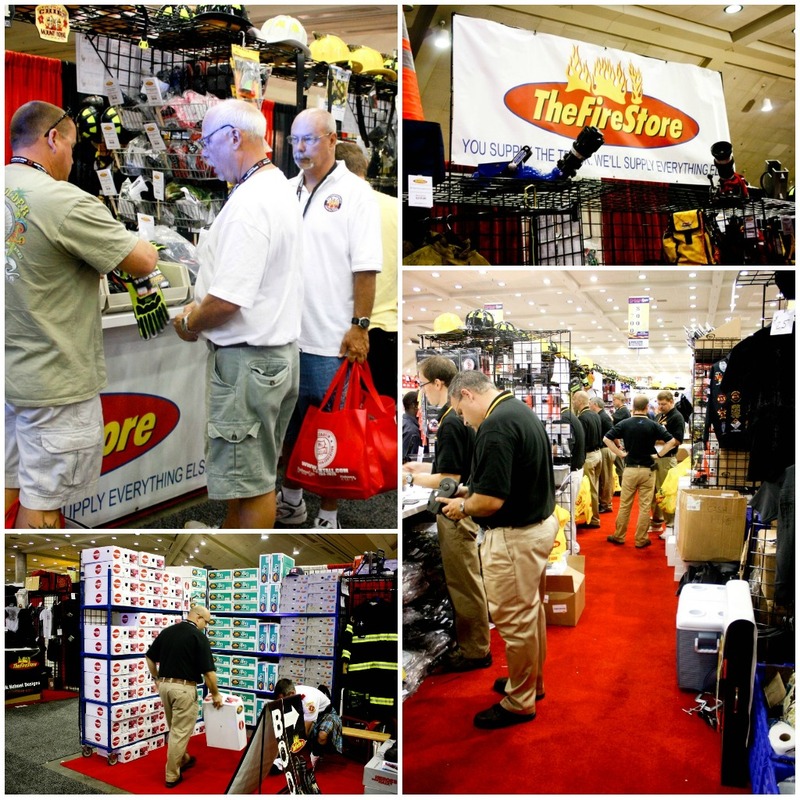 On Scene: On Location at the FirehouseExpo: Baltimore, MD. On Location at the FirehouseExpo: Baltimore, MD. 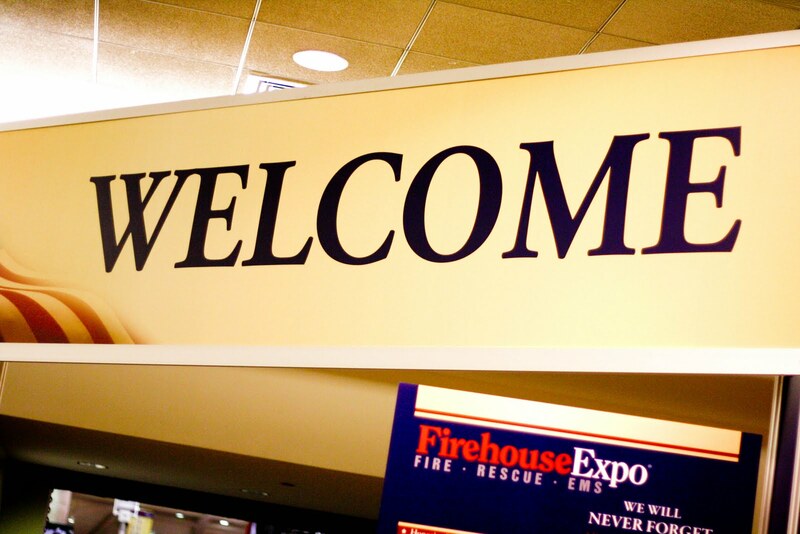 We're here at the Firehouse Expo at the Baltimore Convention Center as it's in full swing! 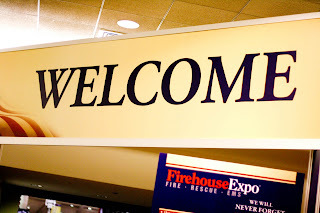 Firefighters and their families have arrived, products are being sold, training is underway, and our 70 feet of booth is hustling and bustling with our loyal customers. It's amazing to think that in 1998, the first time we exhibited at this trade show it was just Jim, our CEO & his brother, Greg manning the small 20 foot booth, with barely 20 different products for sale. And now? 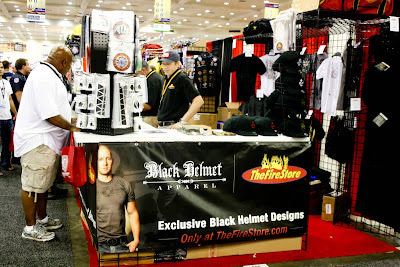 In 2011, we occupy about 70 feet of booth space, needing over 15 employees to help run the booth, with over 400 different products being displayed and sold. Talk about a world of difference! 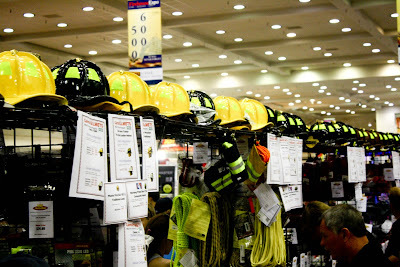 There's no shortage of helmets, that's for sure. 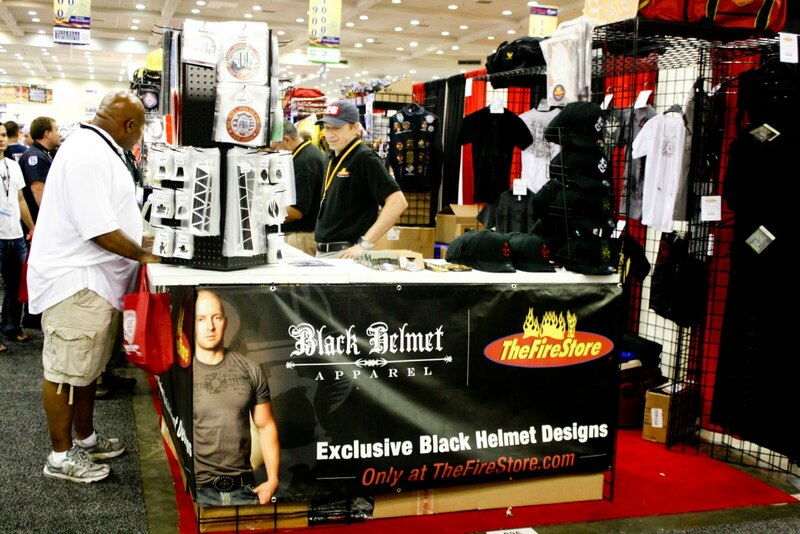 Jim still likes to work in the booth at the trade show! 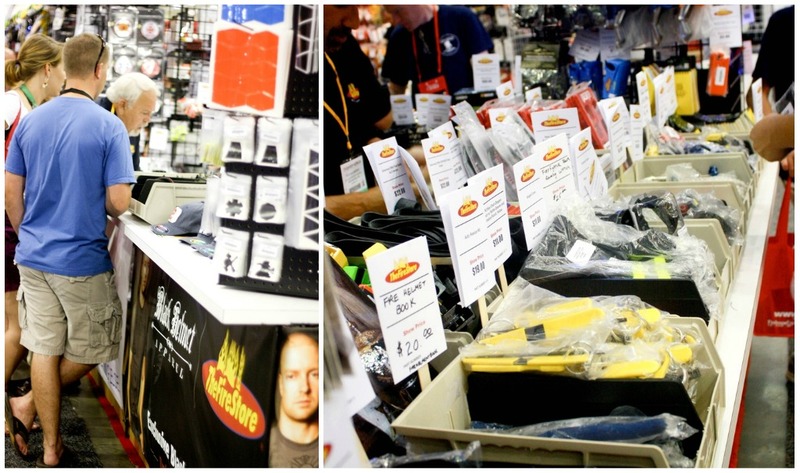 If you're attending the show, make sure to stop by and see us (booths 836-844) for some great sales & discounts. If you aren't able to make the show, don't worry--as we've always got great sales and prices on our online store.